although i am the first to admit that i am influenced by trends, i wouldn’t exactly call myself the setter of them. i’m not even sure if early adopter accurately describes me – it’s more that trends slowly trickle into my life as i embrace them a little more each day. it’s a slippery slope balancing your own identity and the framework of a certain trend – i definitely don’t want to just blindly incorporate everything that is suddenly deemed trendy. but i’m not immune to them either – it’s not like i have a style that is uniquely and intrinsically me, that i stay true to throughout the years, whatever trend comes along. this may all sound so obvious and frankly quite trite to you (i imagine you all going ‘duh, what did she think?’) but i gotta be honest with you – it took me a while to accept this about myself. i grew up in an environment where a lot of focus and value is put on creativity and originality. but i never felt completely at ease in that community of original writers, poets, designers and artists. it’s what always kept me from pursuing any career in that direction, and i always felt a little ‘less’ because of it. it took me 34 years to figure out that there are other communities, other people who put their focus some place else. which means they’re different – not better or worse. and as much as i don’t belong in the community i once thought i should belong to – the longer i live, the more experiences i have and the more i learn, the better i understand how happy i can be if i accept that i have a different view on life, and that’s ok. i don’t invent new fashion styles that make it onto trendy street photography blogs, but i choose designs that fit into the style that i like. i am not known for having the coolest or most original interior, but i succeed in creating a warm and beautiful home nonetheless. i am a pragmatic – interior objects or fashion designs don’t have to have an elaborate story to pull me in. if they are functional and (or) beautiful, they’ll make me happy and serve their purpose in my life. i guess that’s something that i have been struggling with when it comes to design. the way most people talk about it, it’s important to care (a lot) about who designed the object or piece of furniture, the fact that it is iconic and exemplary for a style, or that it inspired so many other designers. but frankly – something never felt entirely right when i tried to convince myself of these things. do i really care about the historical significance of a design? or did i choose it because, well, i thought it looks pretty? or – and in some people’s eyes this is considered even worse – did i choose it because the design was having a moment within a certain trend? i gotta say, the latter two reasons apply to me a lot more often than the first. so whenever i have been talking about wanting to teach my kids about good design – what do i actually mean? and shouldn’t i leave them room to discover for themselves what it is that attracts them? all i can really do is show them i do things my way, and that that’s entirely ok, so they can later on find their own way and know that whatever it is, it’ll be ok.
i bet you didn’t see that monologue coming when you saw the photos above (insert whatever emoji you use for LOL). to be completely honest – i chose this JAIME HAYON for FRITZ HANSEN vase because i think it’s really, really pretty. because the materials and the color fit into our interior perfectly. because i love flowers and i believe you can never have enough vases (different ones for each type of flower arrangement). of course i’ve heard of jaime hayon and fritz hansen before, but honestly – you’ll much more easily find me browsing all DESIGN VASES to find one that i like, than browsing all designs by a certain designer or brand because i am a fan of whatever they create. what about you? and another thing… while i dried these hydrangeas accidentally, by not adding more water in time, i admit i recognized this dried hydrangea look from so many photos i’ve seen on instagram and pinterest, and it made me ridiculously happy that i created this for myself by accident. they have been living in this same vase happily since january, and the vase has been moving around the house because it’s fricking perfect wherever i put it. 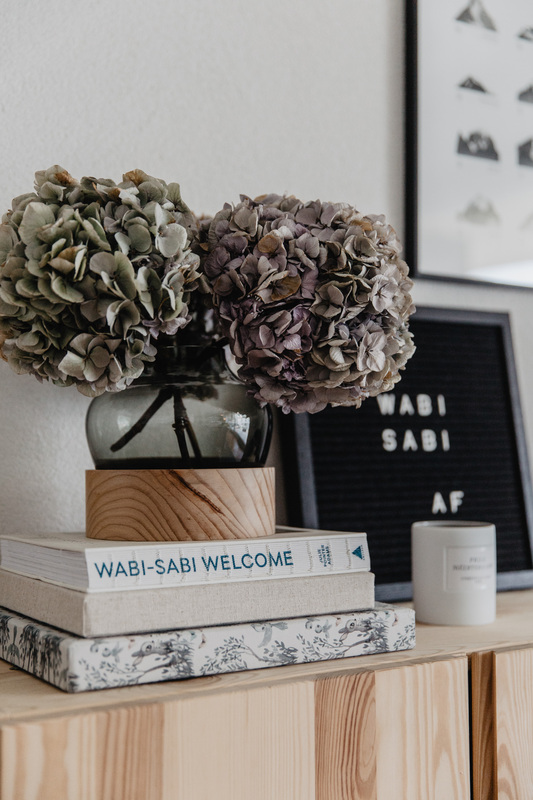 and it made me think about this wabi sabi trend that we’ve been seeing, and that i am so fascinated by at the moment. 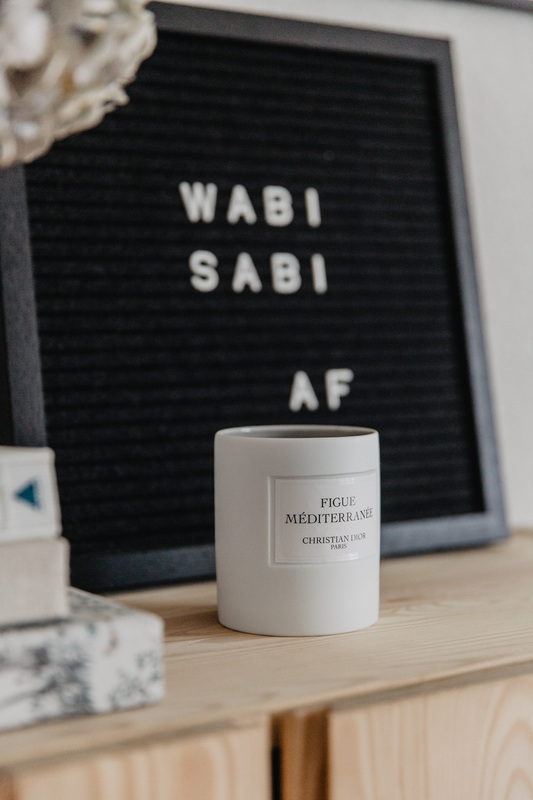 because the very premise of a wabi sabi interior is that you let things go their way without exerting too much control. it’s ok to have an imperfect house, with withered flowers and cracked plates and mismatched chairs. but what if you are consciously pursuing this trend by letting your flowers wither, by buying mismatched chairs and by taking twenty classes to learn kintsugi to artfully repair your broken plate, or learn how to make ‘imperfect’ pottery? 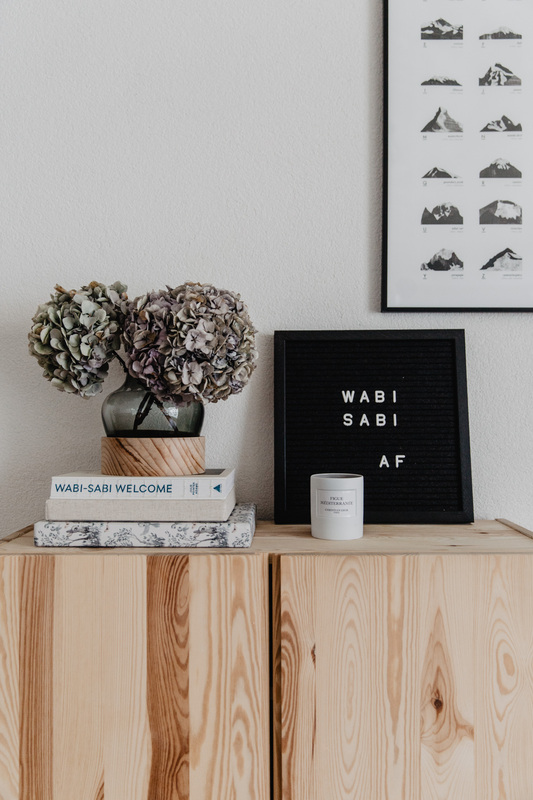 is it still actually wabi sabi then? and in the end – who really cares if it’s real or a bit contrived, as long as it makes the people doing it or living with it happy? 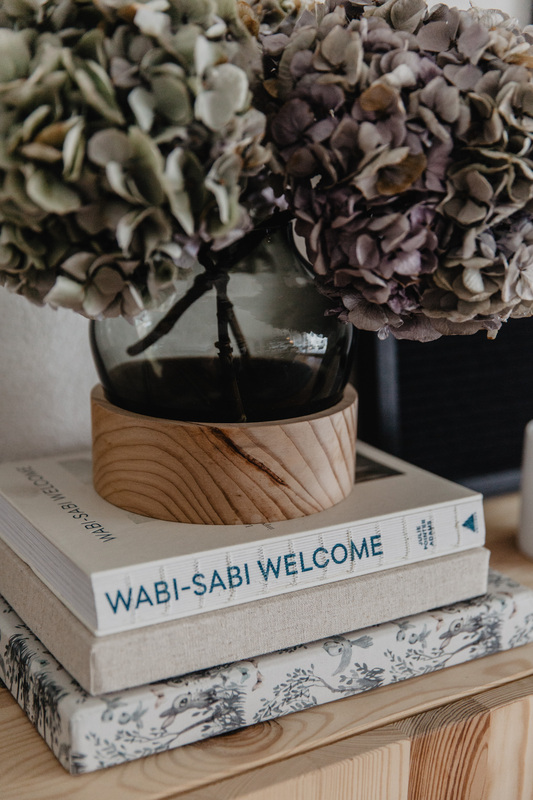 all this to say – there are more than one way to decorate a home and to design a life. they might be different but they’re all equal in the end. i’m really curious what your thoughts are on this one.